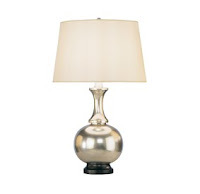 Picking out a good lamp can be tricky - - but when you find the perfect lamp, your room becomes an amazing space. These are some of our favorites that have proved themselves time and time again. Ooh. . . We love a shiny nickel or chrome to add some glam! 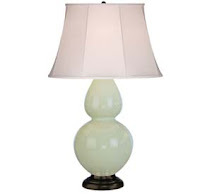 You can never go wrong with a celadon gourd lamp. 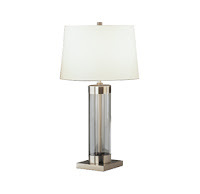 An awesome lamp that can go contemporary or transitional!